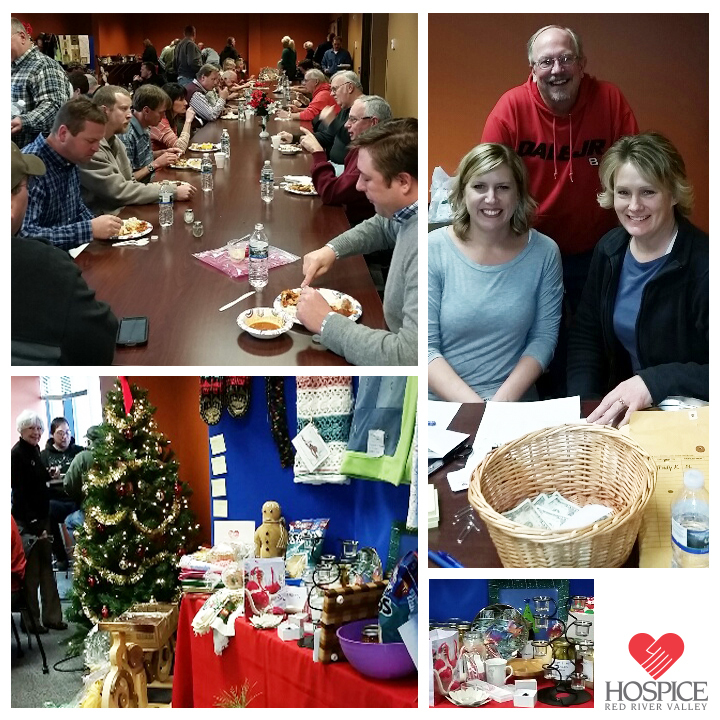 Employees and retirees of the Minnesota Department of Transportation, Minnesota State Patrol and Driver & Vehicle Services in Detroit Lakes held their 20th annual employee holiday potluck and fundraiser for Hospice of the Red River Valley on Dec. 10, 2014. Every December, these agencies transform their lunchroom into a workshop of handcrafted and home-cooked items. Proceeds from the potluck have raised a total of $24,515 for Hospice of the Red River Valley since the event’s inception in 1995.